Property of Wm. Walter Phelps, I.S. Homans, and Others, newar Englewood, New Jersey. Detailed map of property owners near Englewood, New Jersey, incl. Phelps and Homans. Insets of New Bridge and River Edge. 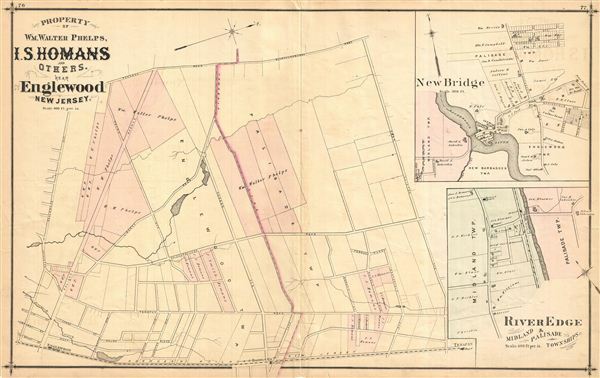 Published as plates 76-77 in Walker & Pease' exquisite 'topographical, illustrated, historical, descriptive' Atlas of Bergen County, New Jersey, 1876. Blank on verso.